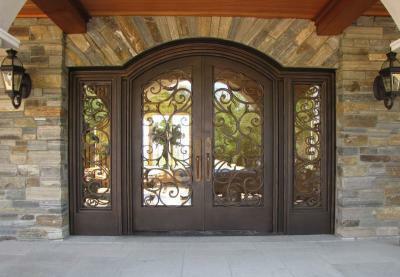 Signature Iron is the leading manufacture for custom built iron entry doors across the nation. Our iron is hand forged and built to cater to our clients in every location. We have an extensive amount of iron doors in our show room and are constantly building to provide for homeowners everywhere. 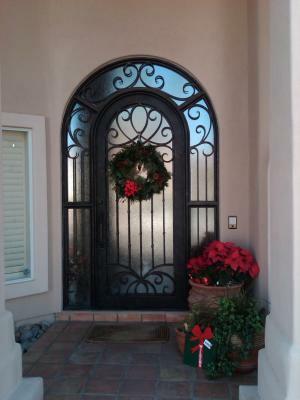 These are a couple of custom built iron entry doors done for homeowners near Chandler Arizona. It’s our hope that every home can feel not only secure, but exude a pleasant charm. Our technicians work to exceed your expectations and to produce the highest quality door your home deserves. Call us and come by our showroom in Phoenix Arizona to meet with a sales representative and discuss your aspirations for a custom built iron entry door.